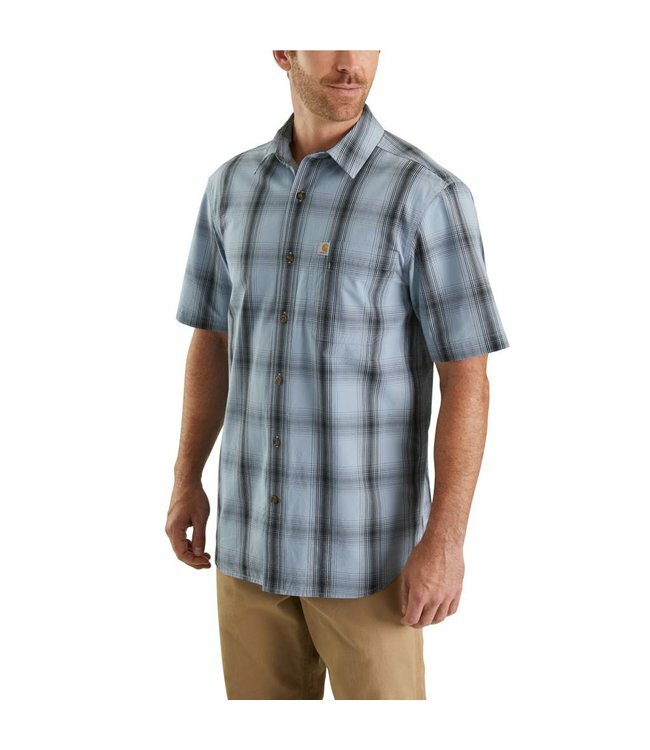 Men's relaxed-fit, lightweight short-sleeve plaid shirt. From work to the weekend, this men's plaid shirt has a lightweight poplin construction that keeps you comfortable on the move. It's garment washed for a true fit and finished with a Carhartt patch along the utility pocket.